Dr. John Philip Breinholt earned his medical degree at the University of Utah School of Medicine in Salt Lake City. He completed his pediatric residency in Houston at Baylor College of Medicine and Texas Children’s Hospital, where he received additional training in cardiomyopathy and cardiac transplant. After completing an advanced fellowship in cardiac catheterization, he spent six years at the Indiana University School of Medicine/Riley Hospital for Children in Indianapolis, where he was associate professor of pediatrics, director of the Pediatric Cardiology Fellowship Program and director of education for the Division of Pediatric Cardiology. Board certified in general pediatrics and pediatric cardiology with advanced training in pediatric interventional cardiology, Dr. Breinholt’s clinical interests include non-surgical treatment for congenital heart disease, implantation of closure devices, stents and transcatheter valves, and applying emerging therapies to very young patients. In practice since 2008, he treats newborns through adults who suffer from congenital heart disease. Dr. Breinholt currently serves as Chief of Pediatric Cardiology at Children’s Memorial Hermann Hospital and is the director of the Division of Pediatric Cardiology in the Department of Pediatrics at the University of Texas Health Science Center at Houston (UTHealth) Medical School. He was selected for the Society for Cardiovascular Angiography and Interventions Emerging Leader Mentorship Program (2013-25) and the American Academy of Pediatrics Young Physicians’ Leadership Alliance (2014-2017). Beginning in 2015, Dr. Breinholt began performing transcatheter closure of PDAs in premature babies in the Level IV Neonatal Intensive Care Unit (NICU) at Children’s Memorial Hermann Hospital. This procedure has traditionally been a surgery; however, Dr. Breinholt leads one of very few programs in the U.S. to reduce the need for surgery for these very small babies. Dr. Breinholt, who speaks Spanish, understands that parents want their child's doctor to be accessible and thorough. He doesn’t want them ever to feel alone and uncertain about their child's heart condition and takes the time necessary to help them feel comfortable taking care of a child with heart disease. From a research perspective, he wants to bring new technologies to patients, particularly the youngest who don't always have the same options as older patients. 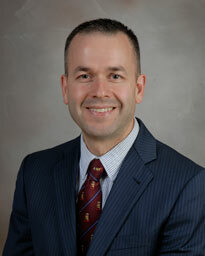 AA resident of Missouri City, Dr. Breinholt is married and the father of four children. An active participant in medical missions, he has worked in Bolivia, Dominican Republic, Ecuador, Mexico, Ukraine and Uganda over the past several years, treating children with heart disease and training local cardiologists to care for them. Dr. Breinholt, discusses the use of Transcatheter Pulmonary Valves as an adjunct to surgical management to preserve heart function in patients with dysfunctional conduits. This is one of the treatment options available through our Pulmonary Valve Program at Children's Memorial Hermann Hospital. The morning after a "tet" spell that caused a rapid drop in the amount of oxygen in Ilhan’s blood she arrived in the U.S. and was brought to the office of John P. Breinholt III, M.D., chief of pediatric cardiology at Children’s Memorial Hermann Hospital.